5 Travel Tips to Help You Prepare for a Road Trip In Europe Are you ready for the trip of your lifetime? There’s truly no better way to explore Europe than to take an epic road trip. This way, you can see all the little things you’d typically fly over. You’ll have a more realistic experience, and you’ll find all the hidden gems that will make your trip memorable. The decision to take a road trip is the first step towards your dream experience. But then there are a few ways you can customize your experience to make the most out of every moment. Here are 5 travel tips to help you prepare for a road trip to Europe. Prepare your maps If you’re traveling in a​ ​new sedan​, you probably have a decent GPS installed. This will take you almost anywhere you need to go, but it’s always a good idea to have backups. Make sure you have a physical roadmap for each city you visit. This way, you’re covered in the event your GPS loses signal. There’s almost nothing worse than getting halfway to your destination in a foreign country and losing signal. You’re completely lost, and you may not even speak the native language. Always be prepared with a physical map. It may seem old school, but it’s imperative. If you’re going to be traveling through the mountains, prepare for anything. You may experience cold, snowy weather in the midst of summer. Keep layers in the car so that you can be prepared for inclement weather. 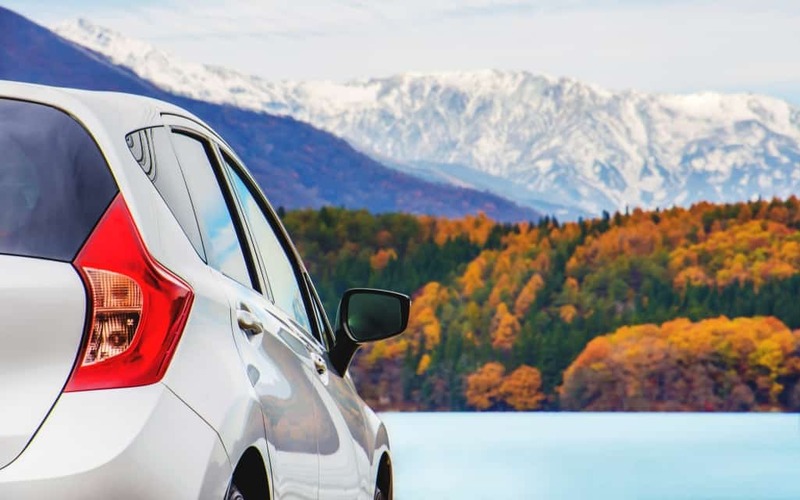 If you’re planning on driving through the mountains, it’s a good idea to prepare your car as well. Though, in Switzerland, you must only use an annual vignette, so plan accordingly. The price for an annual vignette can range between €30 to €150 for a passenger car, depending on the country. Keep in mind that some countries also have tolls in addition to the vignette. Just like we have 911 in the U.S., you can​ ​dial 112 for emergency help​ in any European country. It’s a number that’s easy to remember, but don’t take any chances. Save it in your phone or write it on a piece of paper that you’ll slip into your wallet. In the event of an emergency, you may not be thinking clearly. And you don’t want to forget this crucial number. This is especially important if you’re traveling alone. Anything could happen on a solo road trip, so be prepared. While you’re in Europe, there’s a good chance you’ll be doing some wine tasting. And if so, it’s crucial that you know each country’s legal alcohol limits. You may be used to the laws at home, but they really do vary around the world. Don’t take this for granted. Some countries, like the Czech Republic, have a zero tolerance policy for drinking and driving. This means that if any alcohol registers in your blood, you’re in trouble even if you’ve barely had more than a sip. In a country with a zero tolerance policy, you must really be careful. Even if it has been an hour since you had a glass of wine, you could still have alcohol in your blood. One ounce of alcohol will likely bring your blood alcohol concentration (BAC) to 0.015. And it can take up to 10 hours to completely process through your system. Pay special attention when you might be crossing state lines. Just be sure to research the laws in neighboring countries in case you get lost and end up in a country like the Czech Republic. The cheapest and most effective way to use a cell phone in Europe is usually to make arrangements with your carrier before you leave. If you can’t, you can always arrange SIM cards during your trip, but each country will require its own SIM card. And that can get expensive and time-consuming. It’s better to use your own phone service if you can. You’re about to embark on a trip of a lifetime, but be sure to follow the tips outlined here, so it goes off without a hitch. Let’s make this one memorable European road trip.